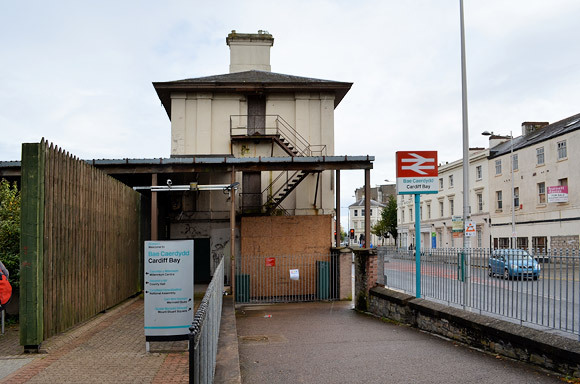 Located in what was once the bustling area of Tiger Bay in Cardiff docks, Cardiff Bay railway station (Bae Caerdydd) is the southern terminus of the short Butetown Branch Line, which runs one mile (1.5 km) from Cardiff Queen Street station. 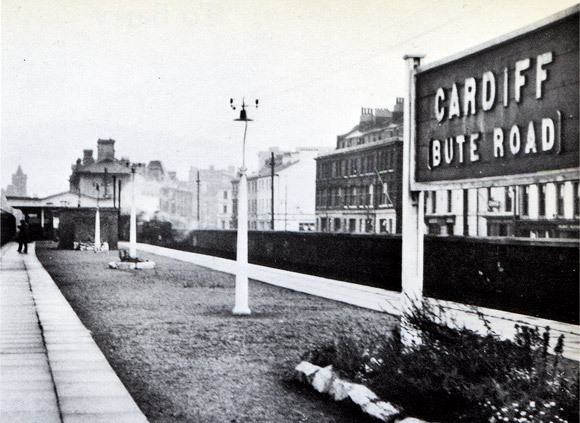 The line was opened in 1840 by the Taff Vale Railway, with the station originally known as “Cardiff Docks,” before being renamed “Bute Road” by the Great Western Railway in 1924 and given its present name in 1994. 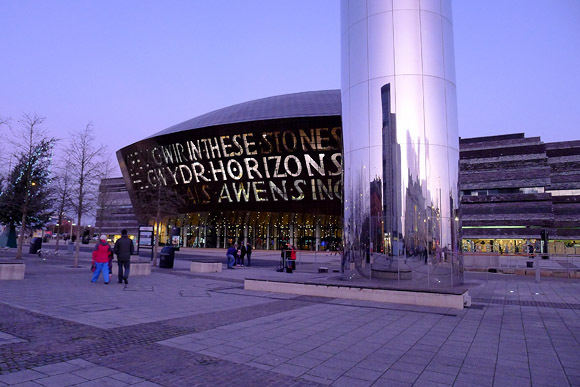 Despite being located close to the National Assembly for Wales and the Wales Millennium Centre, there’s now only one platform in use. 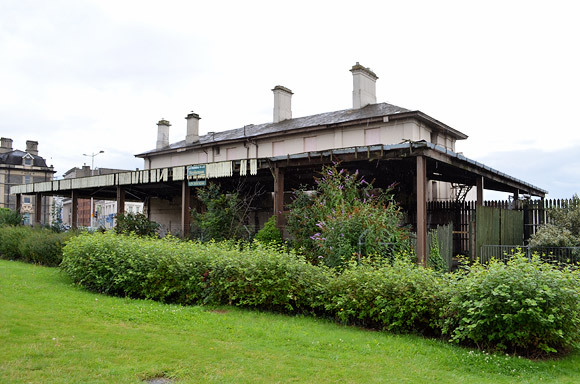 The station building lies behind the buffer stops and enjoys Grade II listed status – partly because it was the origin of the first steam-powered passenger train service in Wales. 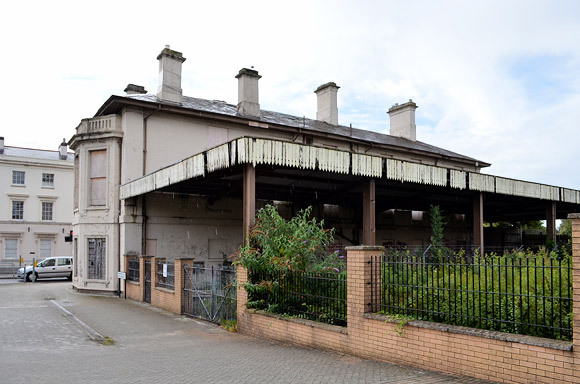 Restored in the 1980s to serve as a railway themed extension to the National Museums and Galleries of Wales and the Butetown Historical Railway Society, the building is now boarded up and has been effectively abandoned for some time. 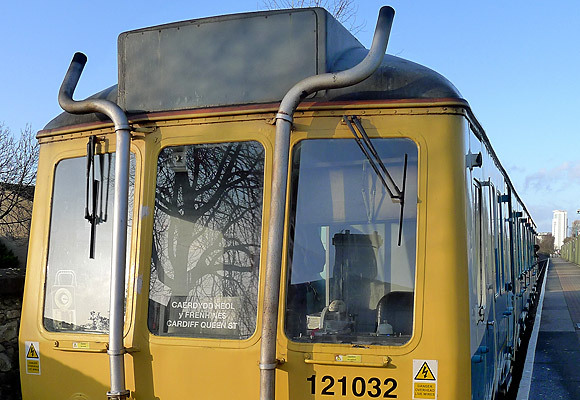 Despite its desolate appearance, Cardiff Bay enjoys a regular service, with a shuttle service between Cardiff Queen Street and Cardiff Bay every 12 minutes on Monday to Saturdays (between 0630 and 2330) and every 12 minutes on Sundays (between 1100 and 1630). 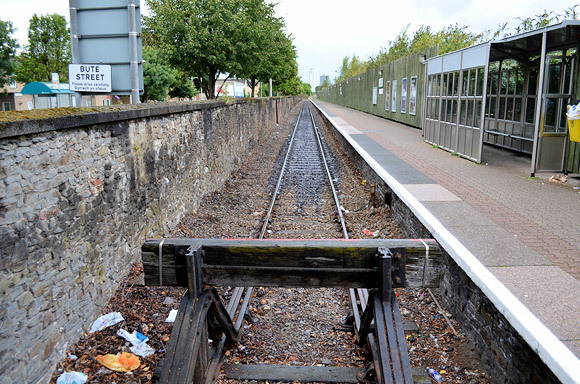 The Cardiff Bay branch is the sole survivor of the once-extensively rail network that served what was once the busiest port in the world, in the area known as the infamous Tiger Bay. Before the First World War, more than 10 million tonnes of coal was exported annually from Cardiff Docks, with Cardiff’s Coal Exchange being host to the first million pound business deal in 1907. Although the docks saw a huge decline after the Second World War, Cardiff’s port traffic has started to grow again, with over 3 million tonnes of cargo passing through the docks in 2007. September 1957 early morning view. 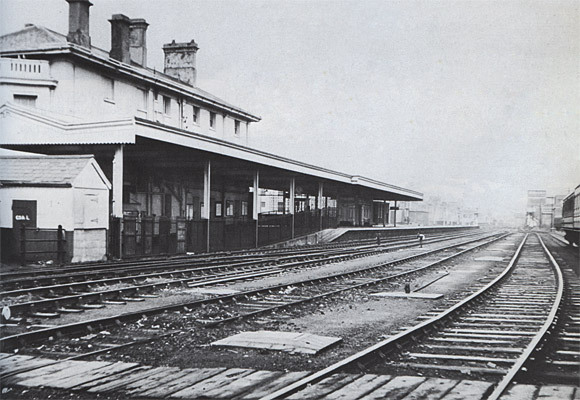 View from April 1963 showing the now-disused platform and extensive trackwork. 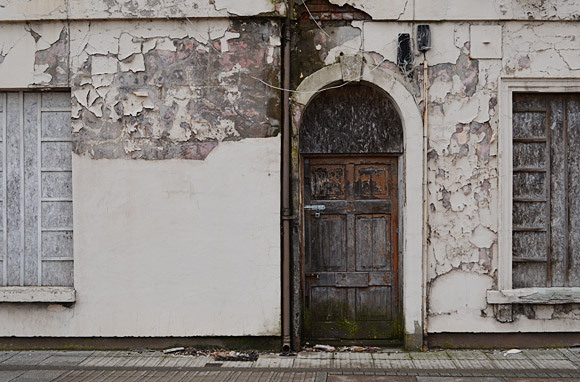 The Grade II listed building remains boarded up. 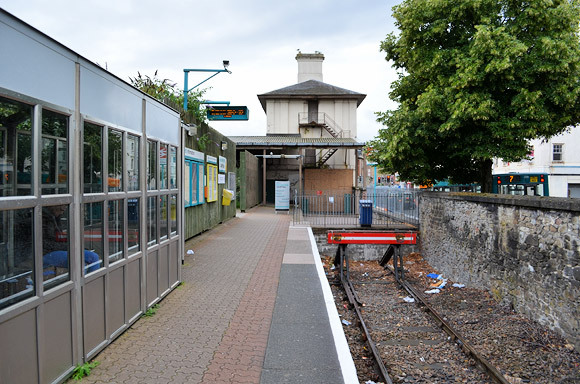 Station from Lloyd George Avenue. WOW, 1940s coming back from Leave. sleeping in station waiting room, overnight. memories R.A.F. St. Athens. 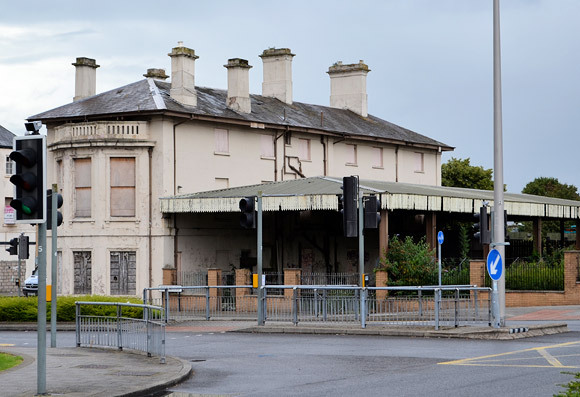 So if the station buildings are listed, why is the council allowing them to deteriorate? It’s illegal to let a listed building deteriorate to the point where it is dangerous structure. 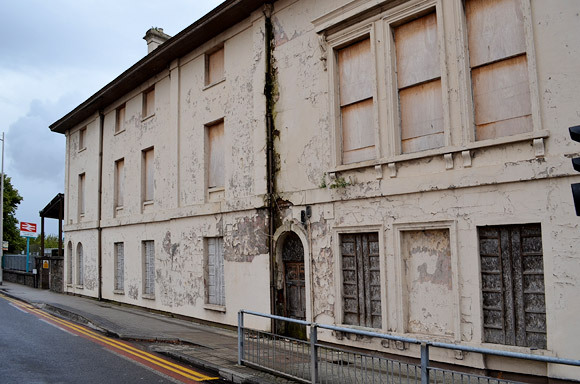 That is what the council does, it lets the building get into such a state of disrepair that it is then dangerous to the general public so has to be pulled down, whether it is listed or not. Hi all, the issue with this building is that it is in private ownership, the Council need to apply their right to restore, to my knowledge this has not been done, if it were applied under conservation guidelines, this would put the owner under very strong pressure, to either sell, onto someone who will refurb/develop, or to carry on the works needed to secure the building. 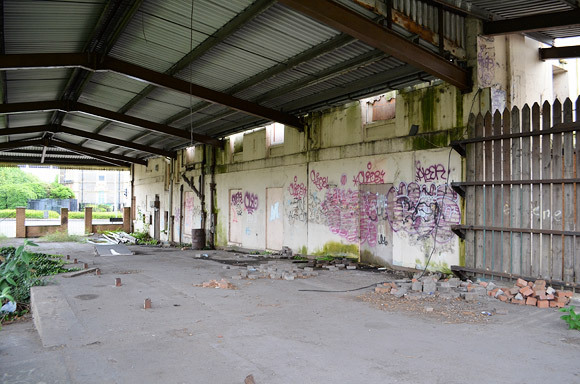 My preference would be for this building to be developed, it needs a new lease of life, so that it does not fall into the same disrepair again. Old buildings such as this, not only need investment but they also have to be commercial, so that they can last another 100 years for generations to come. 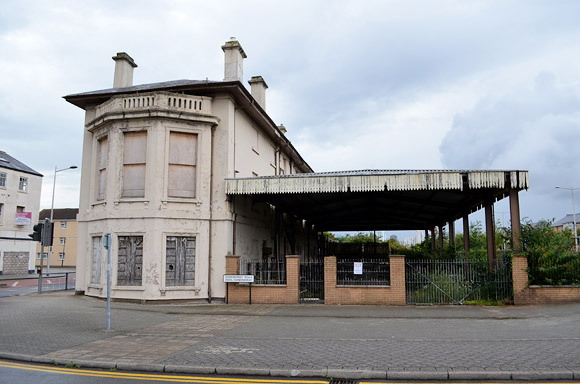 I feel that this should be a mix of a restaurant and a Museum, reflecting Cardiff’s Maritime history. 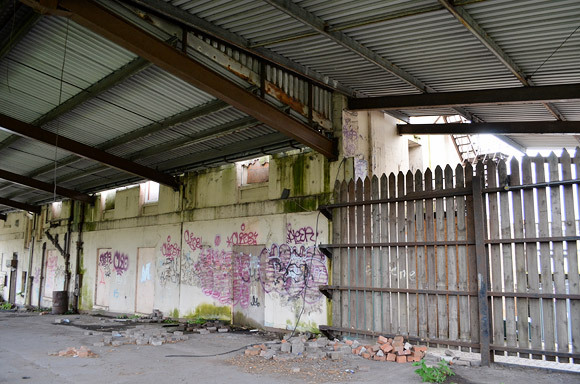 Hi, I am currently doing my 3rd year Interior Design Major research project on this building and am proposing it be transformed into a boutique hotel using 100% welsh resources. I’d love to discuss your experiences of the building.